With the relaxing, lazy days of summer behind us September brings hectic schedules, new routines and a never-ending list of things to do. 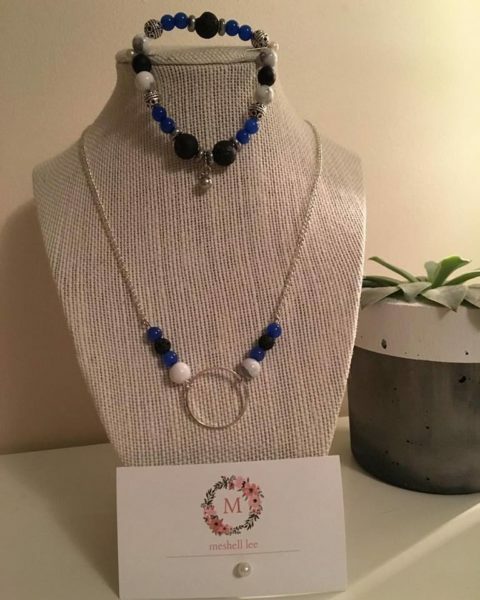 Bearing this in mind what better gift than an essential oils necklace and bracelet to help soothe the nerves of any mother this month. 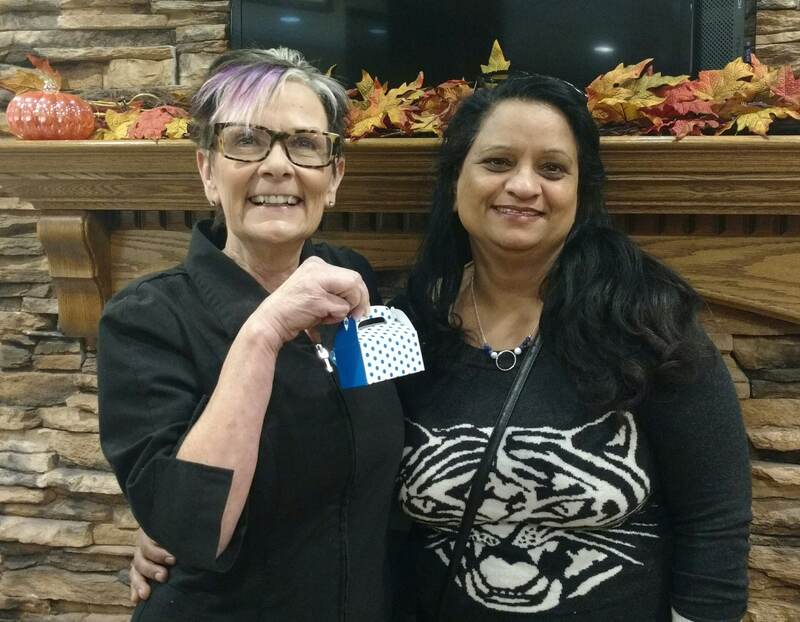 We are excited to share with you that Neelam won NOVO’s September Bling Giveaway!!! Michelle May, who is also a patient here at NOVO Dental Centre, is the creative designer behind this months prize. Michelle mixed glass beads and Lava rocks to create a stunning design. However this is more than just a beautiful piece of jewelry, Lava is known for its grounding qualities. Typically, Lava stone (like most healing gemstones) is recommended to be worn in close contact with the skin, if not directly on the skin. This is because the barrier for absorption is not blocked by anything. To use your Lava Stone Necklace and/or bracelet, place a small amount of essential oil on 1-3 of the clay beads. Make sure to apply the oil on the part of the bead that faces away from your skin. Because essential oils are very concentrated, it’s best to avoid applying them directly to skin undiluted except in very specific situations.